Below is a listing of what it expected and required during each sport season at St. Lawrence. Every family must meet these requirements. If all requirements are not fulfilled during the season, a $250 non-participation fee will be charged for each requirement missed. If not paid by the next registration period, your child(ren) will not be able to register until the payment is made. 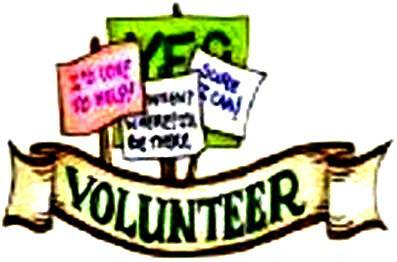 After playing one game with your team, your are still responsible for meeting the committment in volunteering at Applefest or Gala. (Fall - Applefest, Winter/Spring - Gala) If you drop the sport after playing one game, you are still responsible for meeting your committment to Applefest or Gala. If not met, your family will be charged the $250 non-committment fee. These requirements will be shown each time you register on-line. You must accept these requirements before completing each registration. 1. Work two(2) 4-hour shifts at the St. Lawrence Applefest. For planning purposes, the festival is always the weekend after Labor Day. Signups for Applefest are usually in early August. You must register in person at St. Lawrence. The sign-up for volunteer shifts is now done online on this website. Details will be emailed to you on how to sign-up at the start of the season. For planning purposes, the Gala is in the Spring between March-May. See the Web Gala Fundraising Committment Page for available choices. Fulfillment of this requirement must be made by mid-season. For planning purposes, the Gala is in the Winter. Please see Fundraising Requirements AND Registration Requirements pages that are REQUIRED for each sport season before registering.